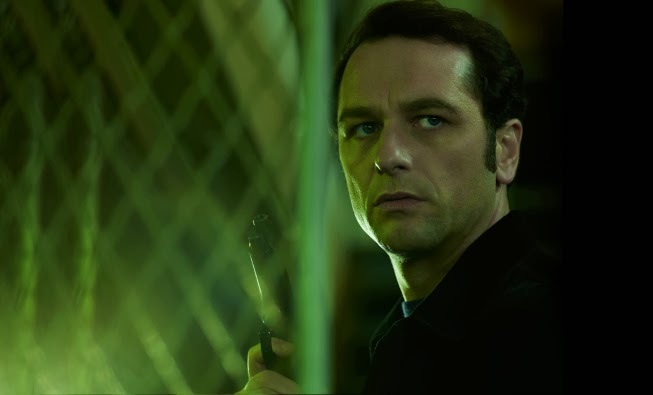 Don’t get us wrong, we’re happy that Matthew Rhys took one of the starring roles in the FX series The Americans last year. We loved him so much as Kevin Walker on the tear-jerking drama Brothers and Sisters, that we were happy to see him again. But we wondered before the show aired, if we’d believe the lovable lawyer as a KGB sleeper agent. Needless to say, Rhys did not disappoint as Philip Jennings. Not all of Rhys’ prep is done in advance. His character is prone to donning disguises to help him — even more so in the coming season it seems. An element of the show that’s amped up a bit more so than in real life, according to Rhys, “I don’t envy the unenviable task of the hair and make-up department that sort of feel that with each new disguise they have to be different or bigger or better, because the reality is with the CIA they tended to use two or three sort of disguises and round robin them. But you know its television and we’re a little more heightened and dramatic, so therefore they do need to kind of have a little bit possibly more dramatic impact. See Matthew Rhys in all of his various personas when Season 2 of The Americans premieres on Wednesday, February 26th at 10:00 p.m. EST/9:00 p.m. Central on FX.